From skyscrapers to restaurants to desert safaris, Dubai pulls out all the stops to charm both residents and visitors alike. 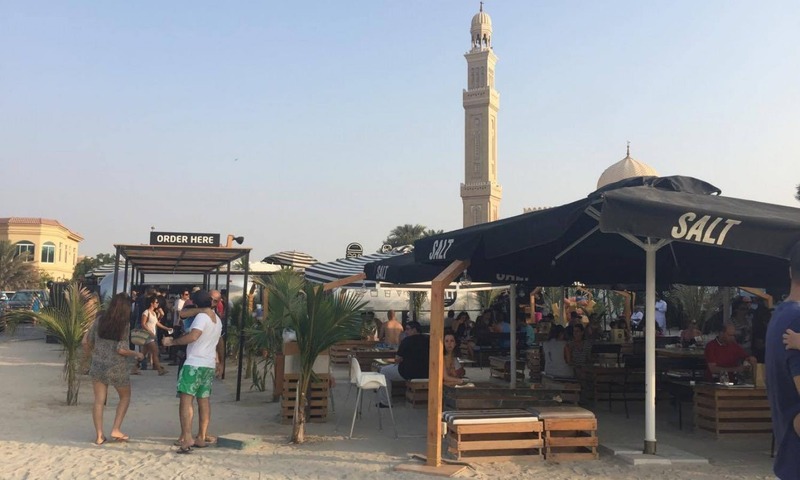 The city’s street food scene is no different, and local Faith Fauchelle shares 7 places to find some of Dubai’s best street food and food trucks. Some people are surprised to learn that Dubai has a thriving street food scene that comprises dozens of food trucks. What makes Dubai’s street food experience special and typical of the city is that the food trucks are usually packaged into convenient, one-stop locations. In no particular order, here are 7 tips for finding some street food in Dubai. 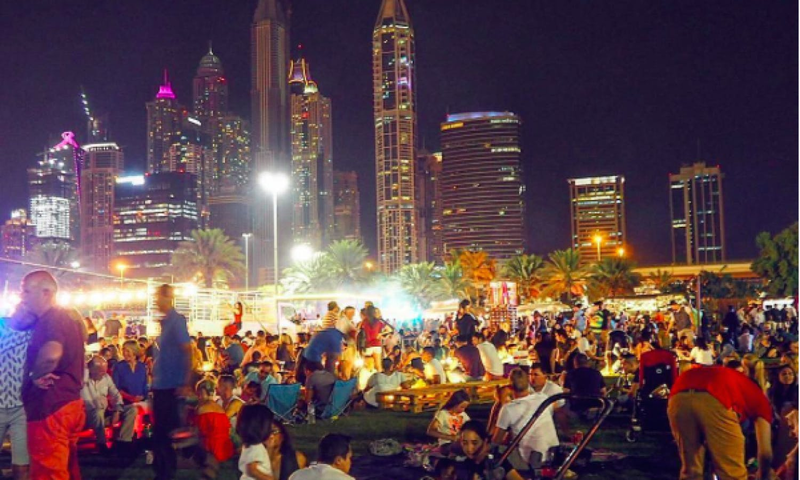 2) Fridays at Zabeel Park: This Dubai park is a great spot for hanging out and if you go on a Friday any time between 9am and 6pm, you’ll find some yummy street food as well as charming arts and crafts from the Organic Ripe Market (you can stock up on organic goodies here, too). Don’t forget to try the coriander olives sold at the Olive Grove then stop by Calle Tacos to get your Mexican food fix with the taco filling of your choice. Chicken Quesadilla is my go-to food here. GObai is all about a twist on Goan street food, and the Goan Pao with Chorizo is to die for. 3) Saturdays at Emirates Golf Club: Have you ever been to an all-you-can-eat food truck brunch? This is something you’re only going to find in Dubai! Every alternate Saturday, Emirates Golf Club holds their ‘food truck brunch’, where street food aficionados can enjoy all they can eat and drink for 285 AED (approximately 72 EUR). A relaxed, perfectly landscaped place to lose yourself for a few hours and soak up the chilled-out Dubai vibe. 4) Food Truck Jam: If you prefer to pick and choose your favorite street food rather than do the all you can eat thing, Dubai Emirates Golf Course hosts Food Track Jam every Saturday evening from September to May. From 5pm to 11pm, you can hang out on the golf club lawn, enjoy the street food of your choice from the trucks of your choosing as you listen to some musical entertainment. Eat, drink and be merry as you toast to the sunset with both old and new friends. 5) Palm Jumeirah Boardwalk: To enjoy a beautiful view of the Arabian Gulf while you savor your gourmet bites, take a walk along the brand new 11-km Palm Jumeirah Boardwalk that covers the full length of Palm’s outside crescent. The grand opening takes place this month, but the Boardwalk is already accessible on the Palm’s East and West Crescent for anyone who wants to take a stroll. The Boardwalk will be home to approximately 20 street food trucks and some are already open for business. 6) Jumeirah Corniche: Feeling the need to break up some of your street food indulgences with a stroll? Well, take a walk (or run) along the beach path and you will find some great spots to quickly rehydrate or fill up on something a little heartier. Salt food truck at Kite beach sits along the walkway and is one of the perennial favorites for a classic American-style burger and milkshake fix, ever popular with locals and expats alike. Hours: 11.00am- 2.00am. 7) Roundup World Dubai: Download the Roundup World app, published by a company that has helped launch local food trucks and will show you where the best ones are located, their menus and the travel time from your current location. Faith Fauchelle is a New Zealand native who has lived in Dubai for more than two years.